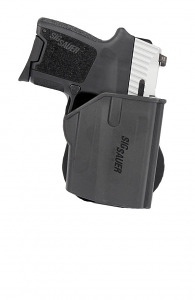 I have been looking for a holster for my Sig 290 RS. Finally found one here!This is now my go to place. Gun fits perfectly. Well made, strong polymer moulding with a firm paddle. Nice holster.